Penal sanctions kill business in Donbas – Klymenko ⋆ News ⋆ Official website for Oleksandr Klymenko. Penal sanctions for nonpayment of taxes and single social contribution by entrepreneurs in ATO area put the existence of small and medium business in the Donetsk and Luhansk regions into question. Meanwhile, the state does nothing in order to resolve this issue. Oleksandr Klymenko, politician and the founder of the community initiative “Restoring Donbas”, wrote about it on his Facebook page. During the active hostilities, plethora entrepreneurs were forced to close their business and leave their homes. Therefore, the majority could not pay taxes. State and budget organizations have been completely deprived of funding. Even if they wanted to pay taxes, it would be impossible due to the banal lack of money, “- he said. Consequently, when people were returning home, there were not only destroyed houses, but also tax debts, and the penalties. 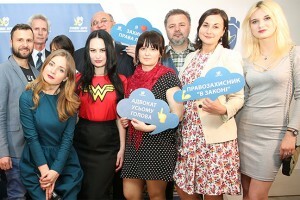 For instance, during the period of hostilities in Kramatorsk, more than a thousand business entities got more than UAH 3 million penalties. 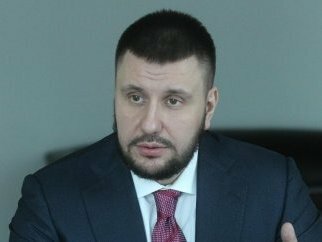 Every fifth entrepreneur was fined “- said Klymenko. He stressed that the moratorium on the accrual of penalties for non-payment of taxes and a single social contribution for the enterprises in ATO area does not operate. A Law “On temporary measures during ATO”, which provided a number of preferences for the economic entities during ATO, seems to be useless in the tax area. “For instance, if the entrepreneur is registered in ATO zone territory, the accrual of single social contribution will be suspended. However, if the businessman moves to the other Ukrainian region, the whole sum (which should have been paid during that period) will be added automatically. In addition, the list of localities in ATO area is not valid. Therefore, there is no reasons for the “freezing”- politician said. According to the politician, the additional pressure from the state, does not make the life of entrepreneurs easier. On the contrary, if the problem related to the tax penalties is not resolved in the nearest future, significant part of small and medium-sized enterprises in Donetsk and Lugansk regions will be under the threat of work stoppage. They are the employers for plethora people.